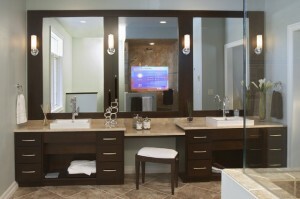 If you’re thinking about remodeling your bathroom, you must entertain the thought of a custom built in vanity. They are spacious, beautiful and we can make yours one of a kind. There are many options out there, take a look at a few styles that we love! 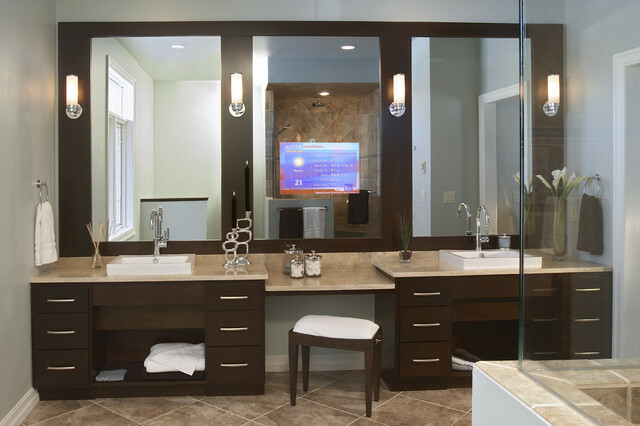 This vanity is sleek and contemporary. This large double vanity has beautiful dark wood and a matching quartz countertop. 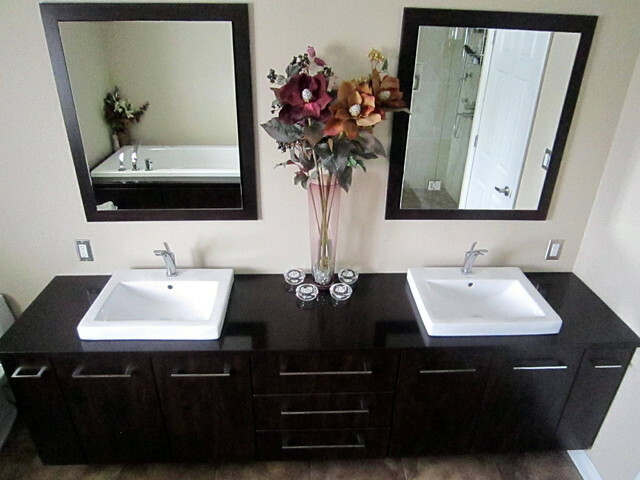 With the squared double sinks and elongated cabinet handles, this bathroom screams luxury! What a beautiful example of the perfect powder room vanity! It is contemporary and is functional for guests. 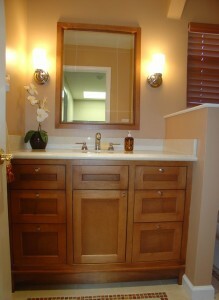 We can custom built a vanity to fit any small space you may have. This large vanity comes packed with lots of storage options within the cherry wood cabinetry. 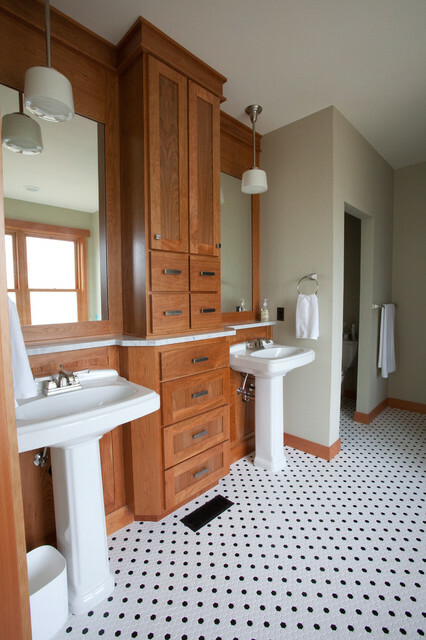 The free standing pedestal stools make for more overall space in the bathroom. The elegant French feel of this custom vanity is perfect for any girl’s bathroom. 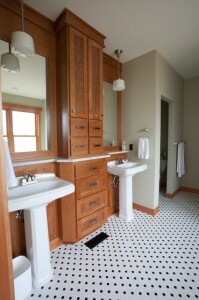 The dark stained wood really compliments the light cabinet knobs as well as the colors surrounding the room. 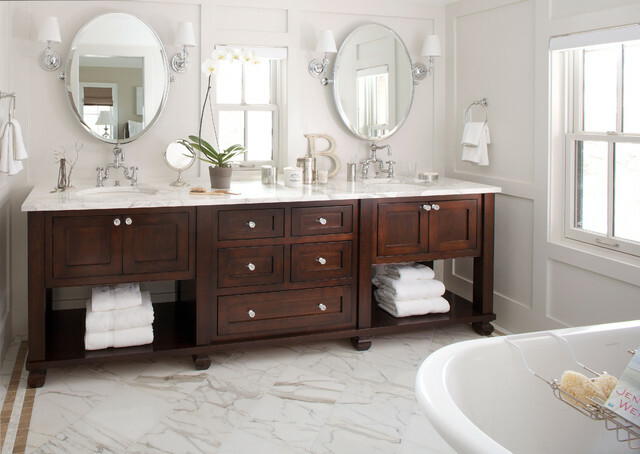 With this gorgeous vanity in your bathroom, we can guarantee you’ll feel as if you’re on vacation every day! This contemporary hotel style piece is made with espresso colored wood and finished off with chrome fixtures.